It seems we're all gonna have an early Valentine's Day celebration next year, as our favorite angelic voice will serenade us with his newest songs. 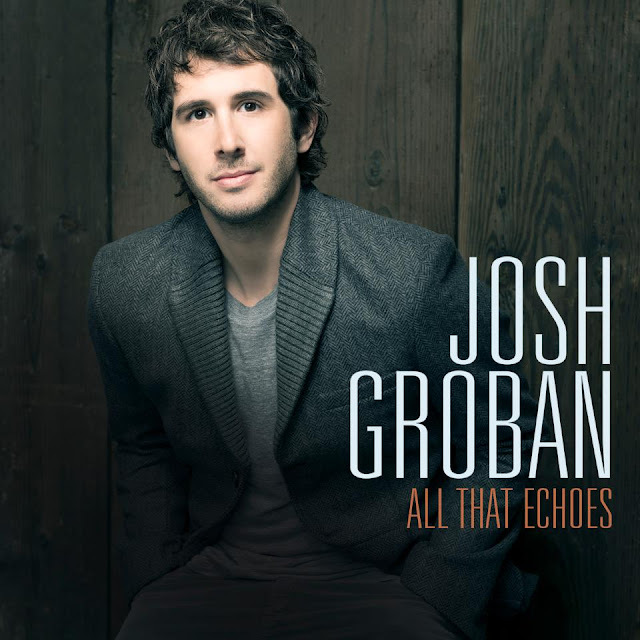 Josh Groban's all to powerful voice will hit the airwaves once again with his new album called All That Echoes. "From beginning to end, this project has blossomed with absolute joy and inspiration. Together with Rob Cavallo and all the incredible collaborators, we set out to create songs that could bridge the old and the new, the light and the dark of life and love ... all that echoes in our souls." No further details have been given regarding the albums track list, but I'll update you if we get a whiff of the list of titles from the album and other important details. For the meantime, let's review his five previous album before the next one comes out early next year.